Kirk Bell November 28, 2018 Comment Now! 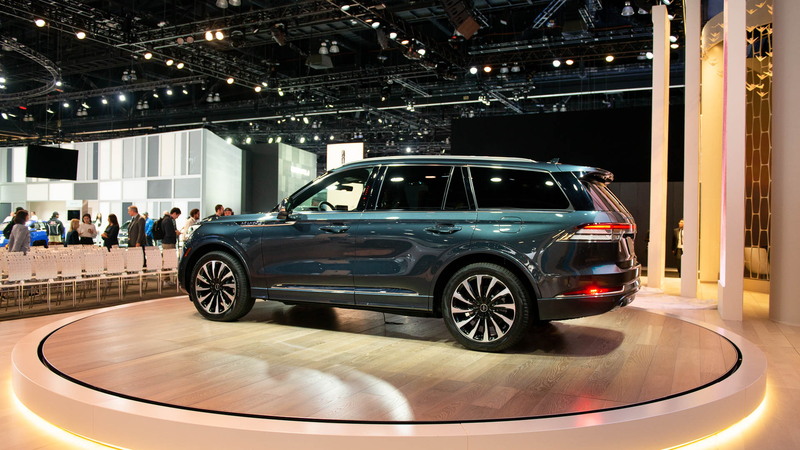 With the reveal of the 2020 Lincoln Aviator at the 2018 LA Auto Show on Wednesday, Lincoln took another next step in its transformation to a contending luxury brand. The Aviator competes in the mid-size crossover class against the likes of the Audi Q7, BMW X5, Mercedes-Benz GLE, and Volvo XC90. Based on a new rear- and all-wheel-drive platform, the Aviator boasts three rows of seats, an available hybrid system, an air suspension with predictive adaptive dampers, and new safety technology. 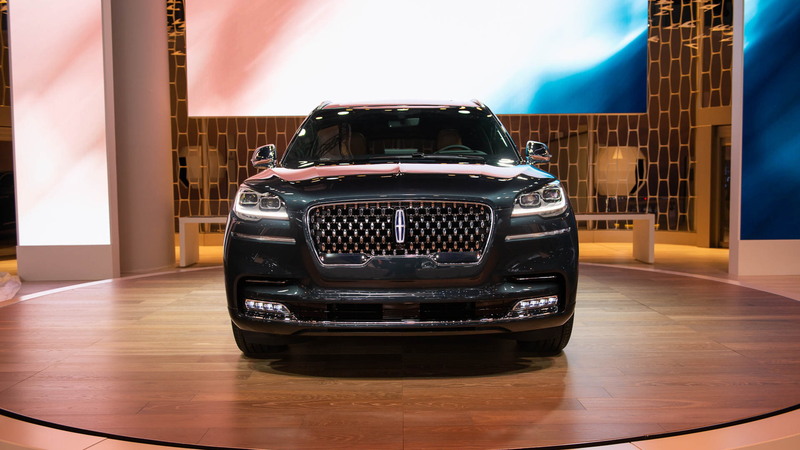 Lincoln will offer the Aviator with a twin-turbocharged 3.0-liter V-6 that the company estimates at 400 horsepower and 450 pound-feet of torque. A Grand Touring model will be offered as a performance-oriented plug-in hybrid. It will be the most powerful Lincoln ever, with at least 450 hp and 600 lb-ft of torque. Lincoln uses its 10-speed automatic with both powertrains. The hybrid’s electric motor is located in the transmission housing, between the engine and transmission. The lithium-ion battery is located under the floor on the passenger side where it doesn’t take up cargo space. Lincoln hasn’t said how big the battery is, how much electric range the Aviator will have, or how fast the Aviator will be with either powertrain. The Aviator will come standard with a two-chamber air suspension that offers various ride heights. Aside from the standard height, a position dubbed Showroom sits a bit lower, and one called Entry is lower still to make it easier to load cargo and enter the vehicle. On the highway or in the available sport-oriented Excite mode, the system lowers again. A Deep position raises the ride height to deal with snowy conditions. In addition to Excite, the Aviator has Normal, Conserve, Slippery, and Deep Conditions drive modes. The Grand Touring adds Pure EV, which runs on electricity alone, and Preserve EV, which retains any remaining range. If the throttle position calls for more power than the Pure EV mode can deliver, the vehicle will ask if the driver would like to change to a hybrid mode to provide that power. That’s a first. No matter the mode, Lincoln’s goal is to make the 2020 Aviator glide down the road. An available predictive and adaptive suspension is meant to do just that. It can preview road conditions with a forward camera to prepare the suspension for bumps and ruts. 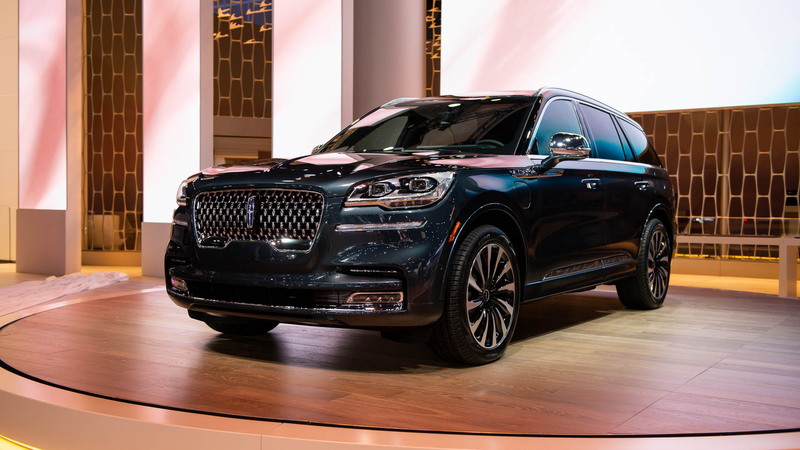 The Aviator gets the Lincoln Co-Pilot360 Plus suite of safety features and conveniences, which is an update of Co-Pilot360. It adds Traffic Jam Assist that can steer the vehicle and work the throttle in low-speed situations, Evasive Steer Assist that adds torque to the steering to help avoid a collision, Reverse Brake Assist that applies the brakes when backing up if it detects an obstacle, and Active Park Assist Plus that parks the Aviator automatically with no need for the driver to control any function, including gear selection. As previously reported, Lincoln’s Phone As A Key feature will debut with the Aviator. It will be enabled through the Lincoln Way app, and allow owners to set four key codes. Once inside, buyers will find a 12.3-inch digital instrument panel display and a large center infotainment screen. A new steering wheel with a pair of 4-way controllers handles the functions on both screens. It also has a voice control button at the 10 o’clock position. Engine-turned aluminum trim is offered, as are 30-way power seats with 4-way power lumbar adjustment and five massage programs. The second-row seats recline and slide forward and back to allow access to the third row and balance leg room between the rows. Interior options will include wireless phone charging, the largest head-up display on the market, and two available Revel audio systems, including the top-level Ultima 3D unit with 28 speakers. 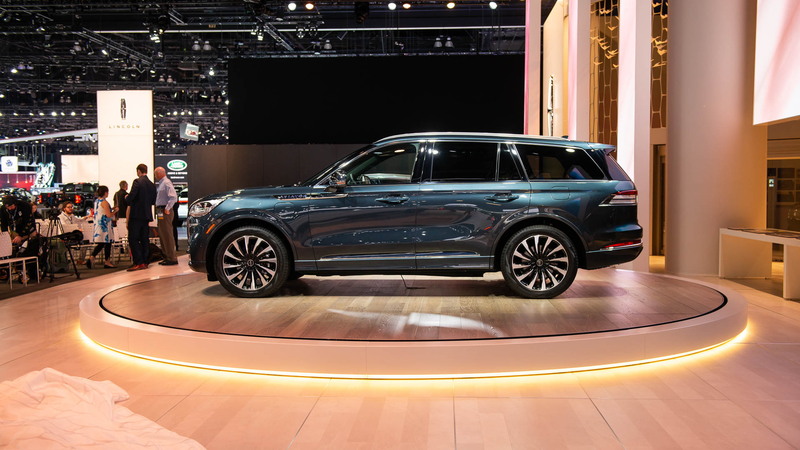 Lincoln will offer the Aviator in base, Reserve, and Black Label trims, though the Grand Touring will only be available in base and Black Label. 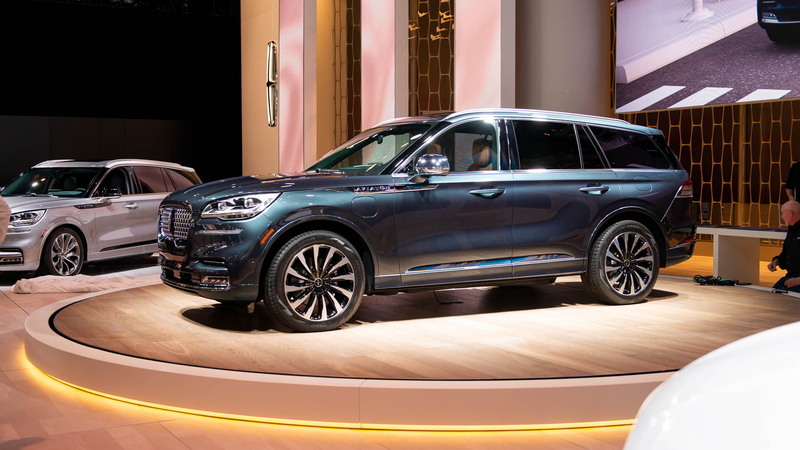 The 2020 Lincoln Aviator is set to go on sale next summer. Expect information on performance figures, EV range, and pricing prior to its market debut. For more from the Los Angeles auto show, check out our dedicated hub.